With fall kicking in I am up for some changes and totally drawn to a warmer colour pallet. 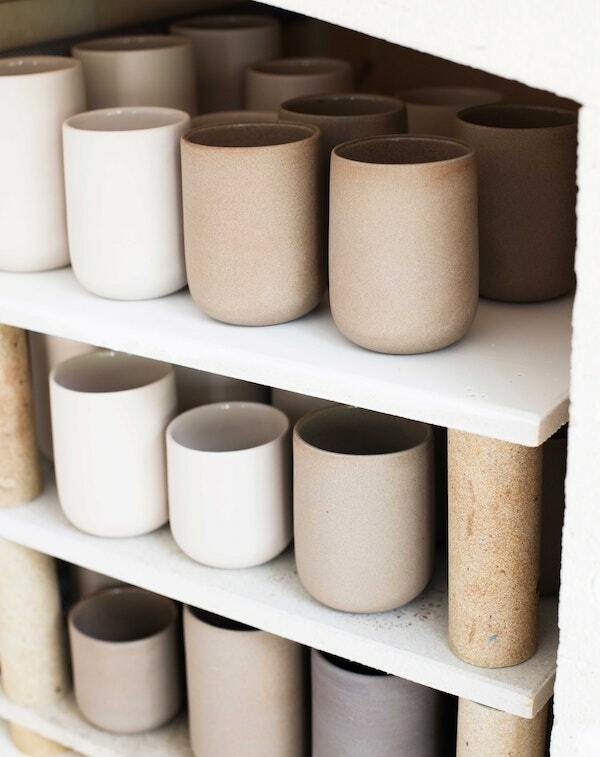 Towards the end of the year, when Summer is over I always feel like changing things and I am working on some new features for my home right now. It feels as if I have been playing on safe a lot lately and especially in the kitchen, where after some first changes I didn't changed a lot. I am done with the shiny metal and I am drawing a new solution for my kitchen hood, I will also paint the backsplash in a different colour. Not sure yet if it will be a light grey or something totally different and darker. 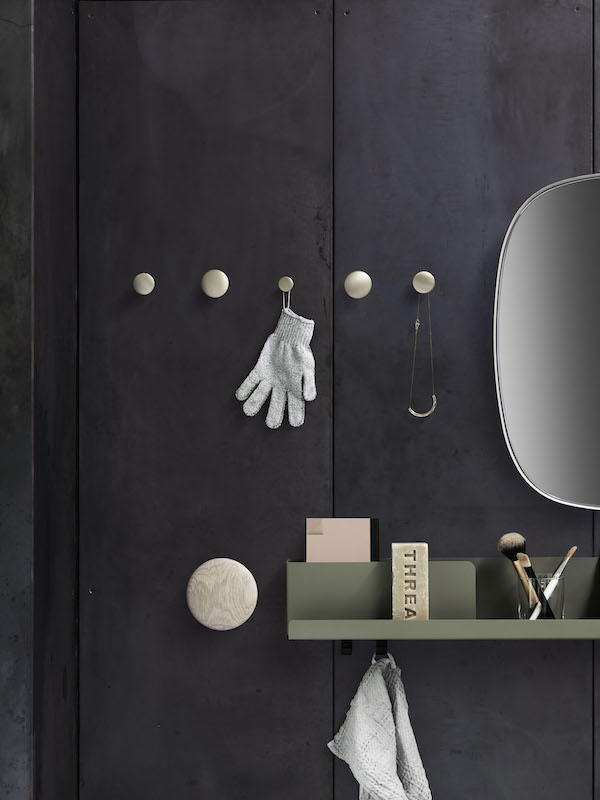 Fall is a great time interior wise, with many fairs and new collections, and I love to stroll through the different online stores to catch up with all things new and let my imagination run wild. In my kitchen everything is overall black and I think it is a good idea to add some more neutrals or maybe even a little pink or some other neutral colours to soften the dark industrial feeling. 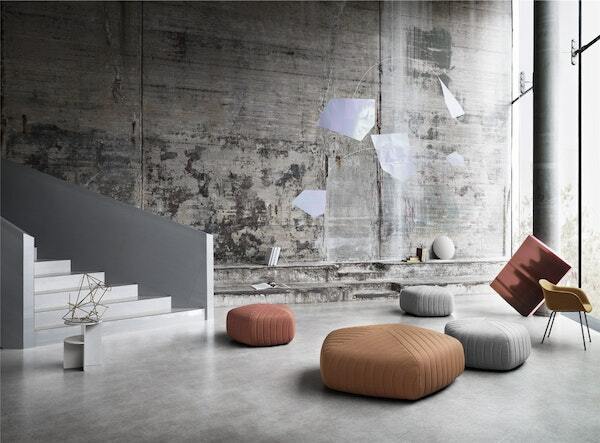 With two brick stores in the center of 'S Hertogenbosch close to each other and a huge online store MisterDesign is a good source if you are looking for design, they offer a large collection from selected brands and a worldwide shipping option. The first brick store operating since 2007 shows new collections of young designers and upcoming as well as established brands, while in the other store which is located in a beautiful old location with ornaments and an authentic brick walls, contemporary design in beautiful materials and famous classics from brands as Carl Hansen, vitra, Brokis, Mooi and Tom Dixon are combined and styled in beautiful settings. Mister Design has a team of interior stylists available if you are looking for help with selecting the right furniture, interior design or your new project. 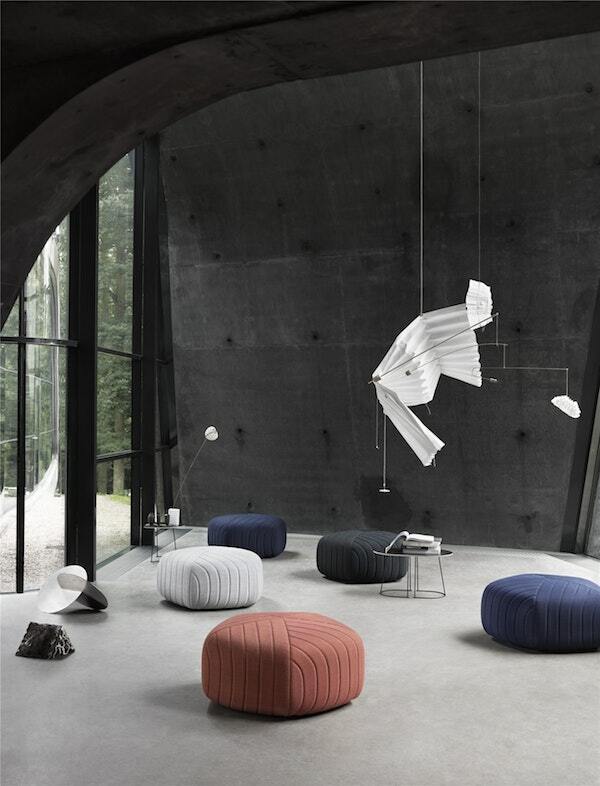 Looking for inspiration to bring in some autumn colours, the 'New Perspectives' catalog by Danish Muuto, one of the brands that MisterDesign has a large collection of, caught my eye. 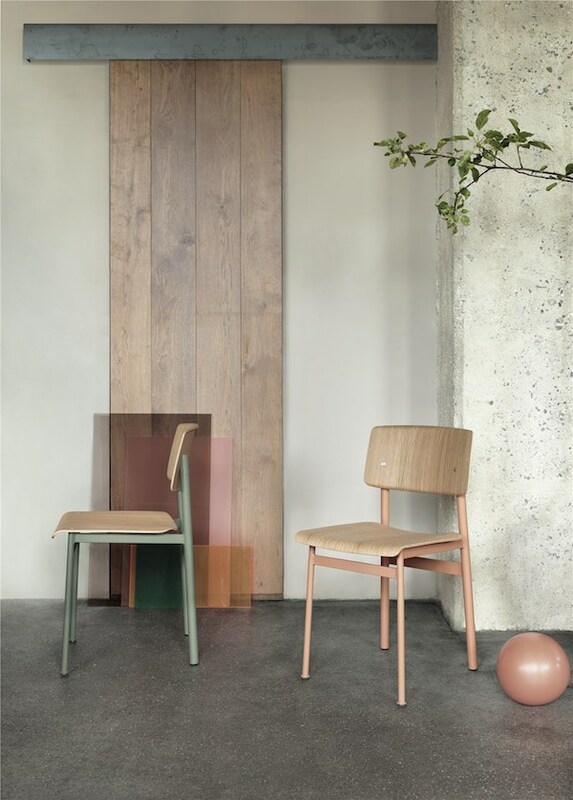 Muuto is known for its great colour palet and the new catalogus shows in addition to new designs, existing products that has been introduced in new colours which perfectly fit that autumn feeling. 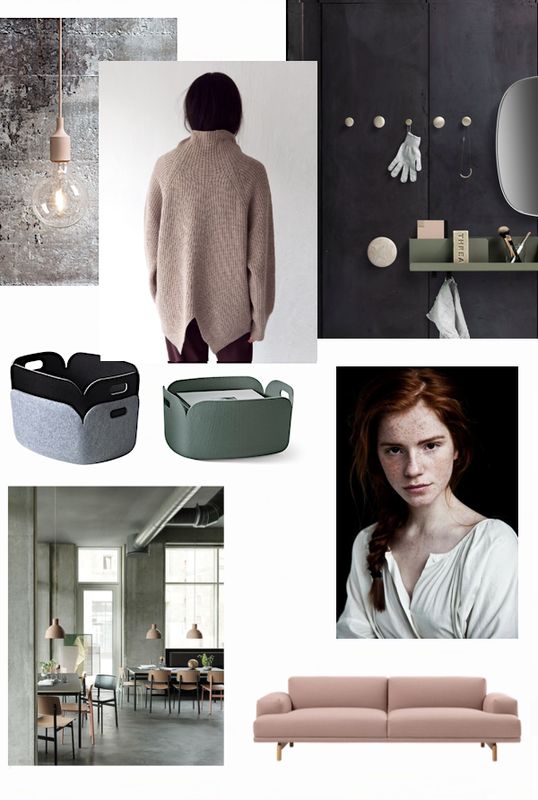 Here is my selection to colour your home for fall with Muuto and MisterDesign. Scroll down the end of the post to read how you can make a chance to win something for your own home! 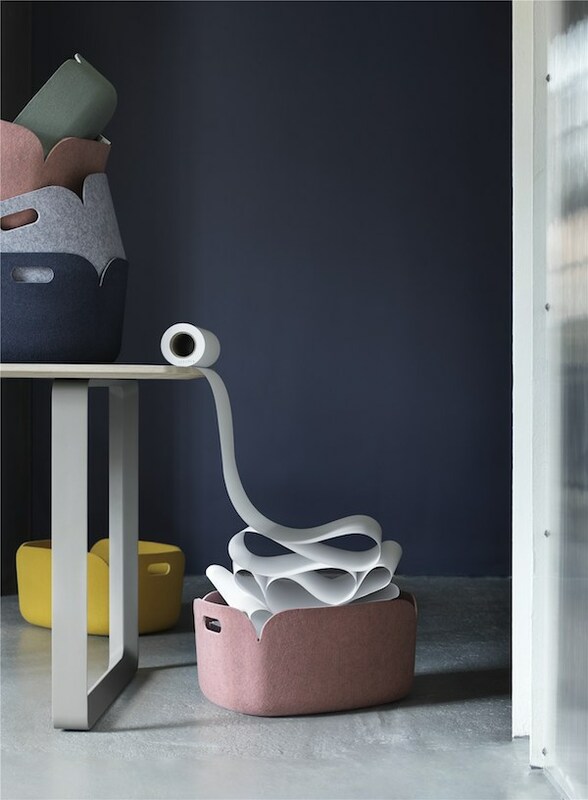 Fabrics and soft materials is something I should work on for my home, the Muuto Restore basket comes in many warm colours including this all new Rose Melange which I think would look great in combination with dark wood. 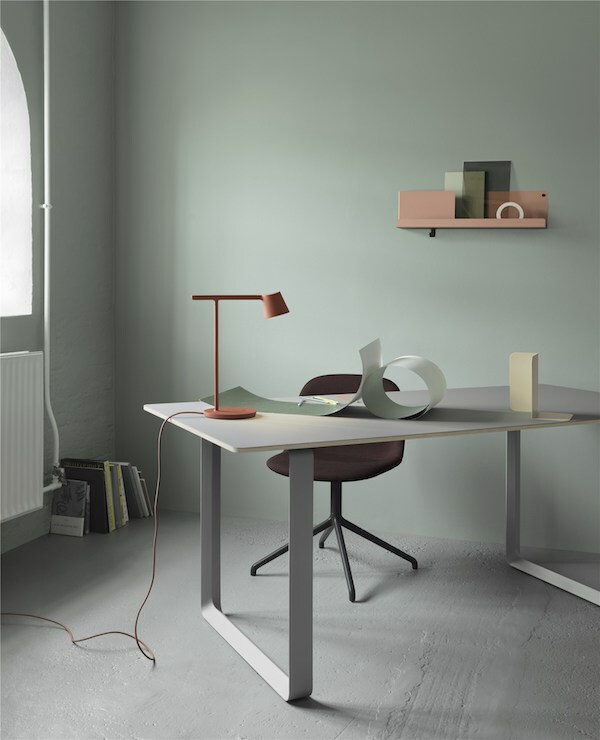 Rose looks like one of the new colours popping up in different of Muuto's new design, pictured above the new Loft chair. I think it is a great new colour for fall and a softer more feminine version for copper or the populair gold that is a bit to shiny for my taste. I love browns in my interior at this time of the year and rose seems like a nice addition.... using it in my own interior though feels like a big step. 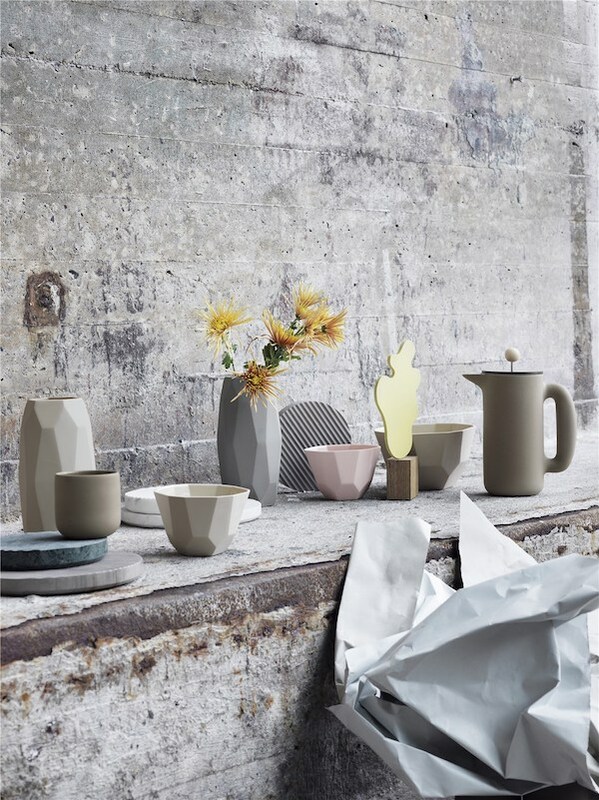 Something I really love is the Push coffee maker and mugs, both in my absolutely favourite colour of the moment, a beautiful stone-grey! 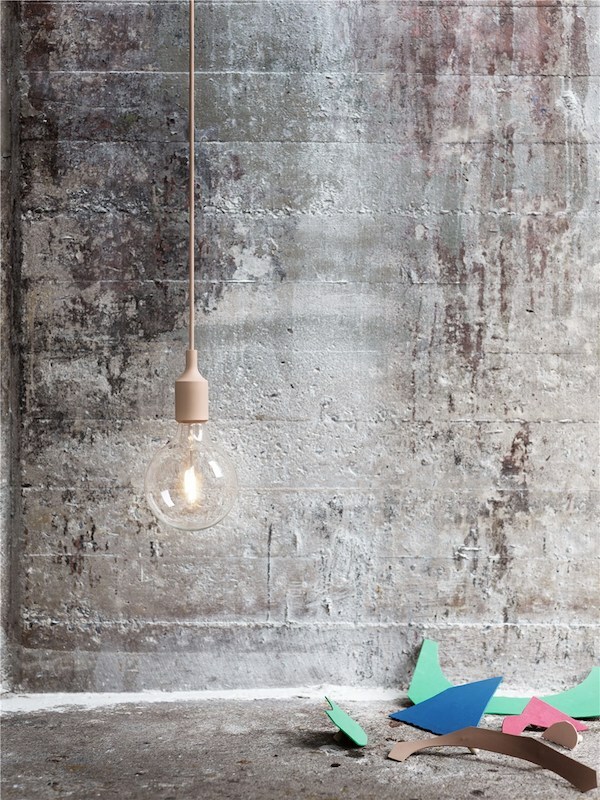 The E27 socket lamp is another all time favourite of mine, available in many different colours. Good lighting is important when days are getting shorter and the new Tip Lamp pictured below comes in a perfect autumn colour scene of Olive and Copper Brown next to Black and White! 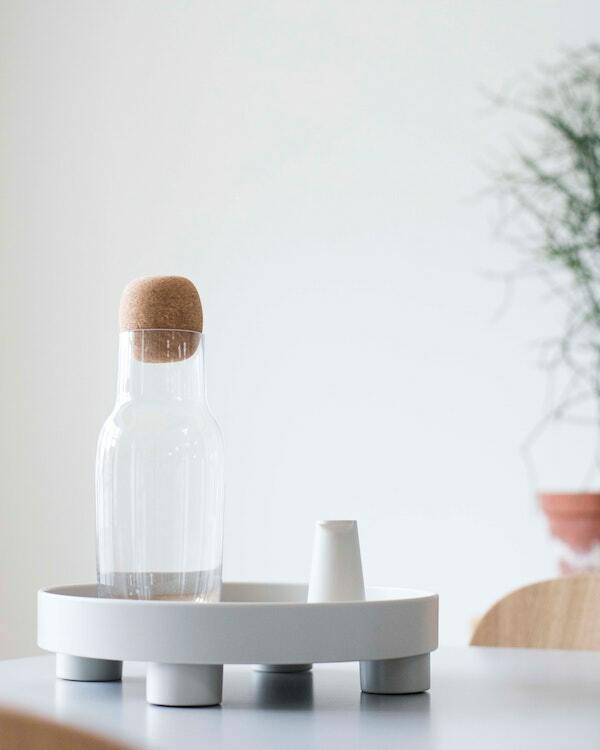 The new Platform Tray combines Scandinavian functionality with Japanese craft and can serve both as a tray to move around the home or as a platform for still lifes. The dark red version of the Platform Tray perfectly fits the autumn pallet, move over to the site to have a look!